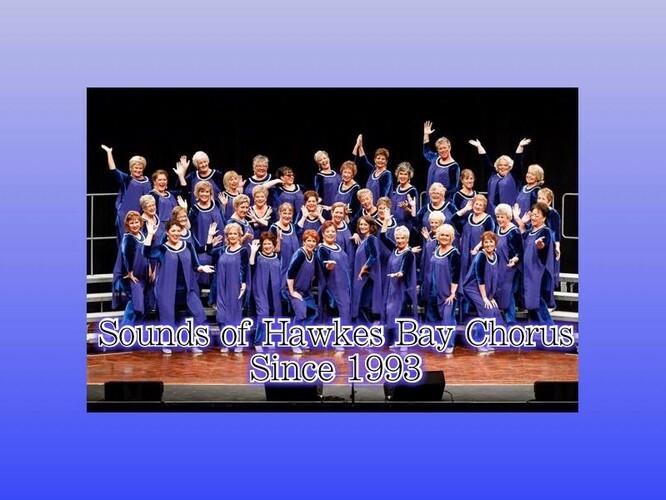 Sounds of Hawkes Bay Chorus - A Capella Singing. Real Women, Real Harmony, Real Fun. Sounds of Hawkes Bay Chorus are having an open night and you've been invited. Welcome - women of all ages. Four part harmony is created by the blending of four voice parts – bass, baritone, lead and tenor and something we should all try. It's so much fun! Come along, meet the chorus and have a go (if you want). - The hall is at the back of the classroom blocks so you just keep walking passed the library which is on your right and continue on until you site the hall at the back by the playing field.